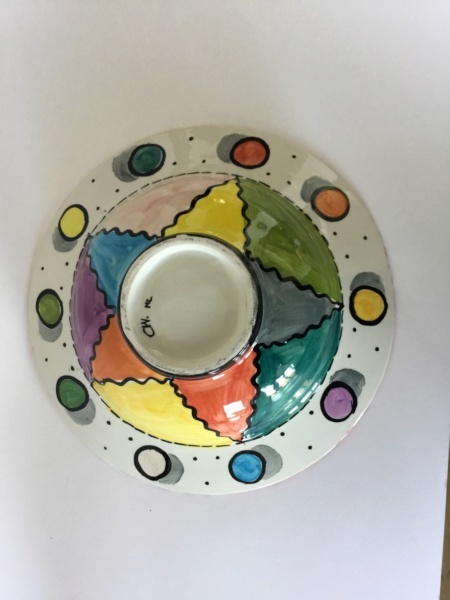 Hand painted tulips and smarties on white China bowl CW MC marks, Cornish ? 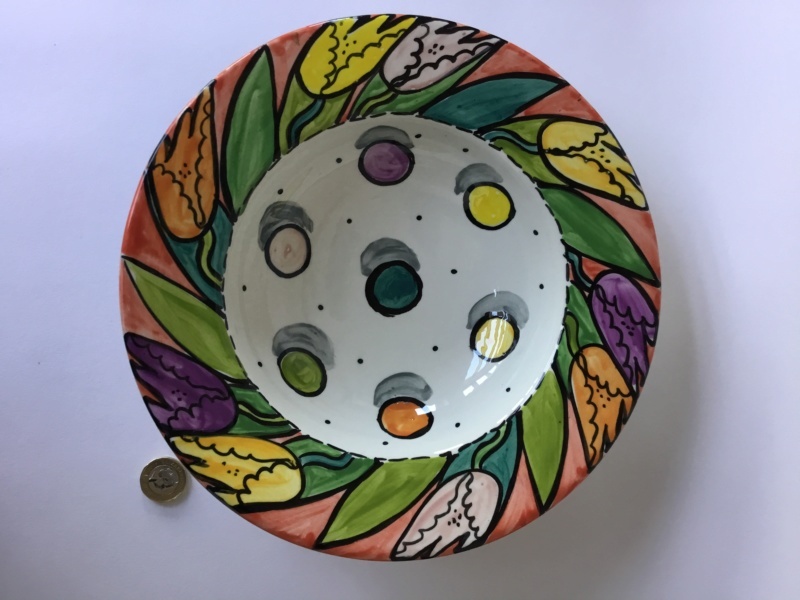 10” wide rim bowl, tulips on rim. 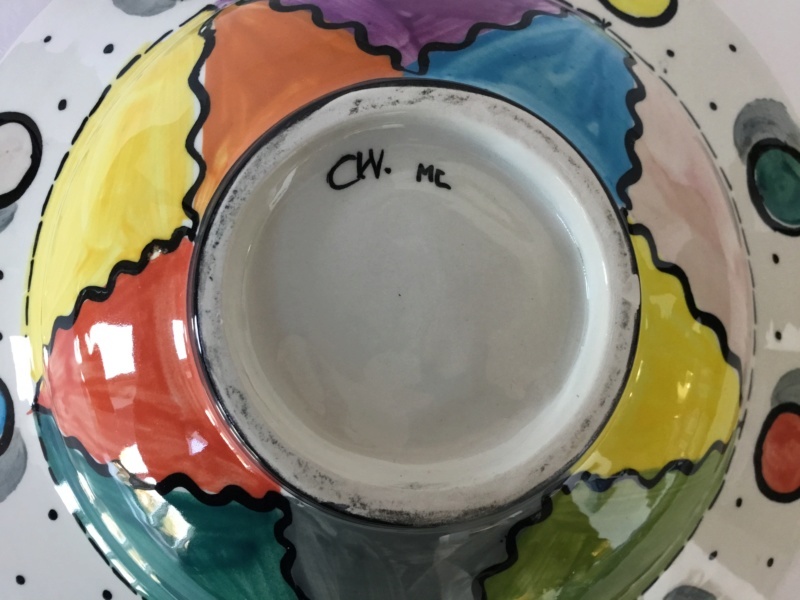 Factory bowl, hand painted CW & MC painted marks. Cornish? bought in Cornwall. 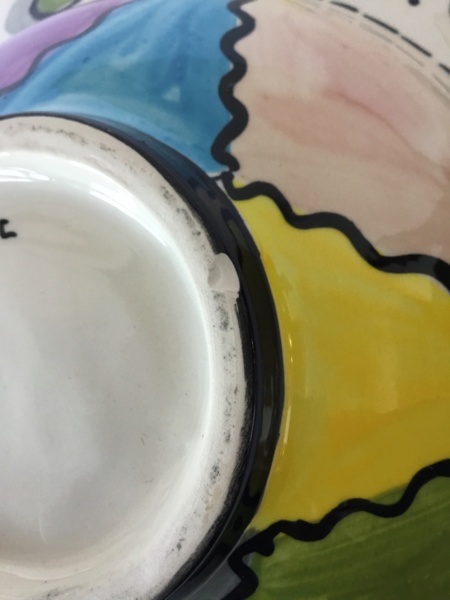 Re: Hand painted tulips and smarties on white China bowl CW MC marks, Cornish ?